or go to Organizations > Exchange > Contacts. 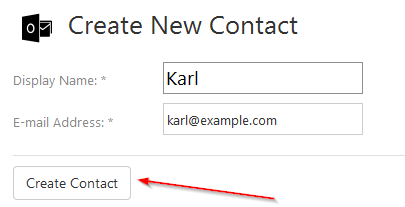 Enter contact details and click Create Contact. Hooray. New contact was added. Now you see settings page for the contact. 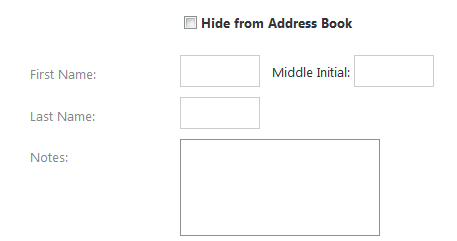 Next, you can decide if you want to hide this contact from address book and enter personal details. Finally, you can add even more company and contact info, as well as physical address. None of the fields are mandatory. To show / hide sections click on their names or "+" / "-" icons in the right. When you're done here, click either Save Changes or Save Changes and Exit. 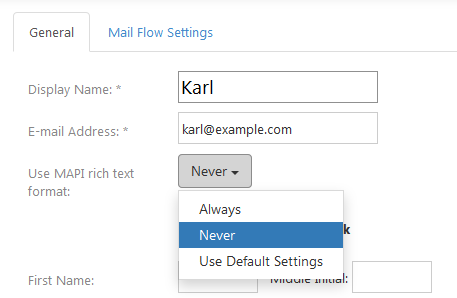 The first option will leave you at this page, the second will redirect you to the main page of MSPControl.